Sri Aurobindo [born Aravinda Akroyd Ghose] (15 August 1872 – 5 December 1950) was an Indian nationalist, scholar, poet, mystic, philosopher, yogi and guru, who developed concepts of human progress and spiritual evolution. With the help of his spiritual collaborator, Mirra Alfassa, he founded the Sri Aurobindo Ashram. This Sanatana Dharma has many scriptures: The Veda, the Vedanta, the Gita, the Upanishads, the Darshanas, the Puranas, the Tantras, nor could it reject the Bible or the Koran, but its real, the most authoritative scripture is in the heart in which the Eternal has his dwelling. The colloquy at Kurukshetra will yet liberate humanity. Even soul-force, when it is effective, destroys. Only those who have used it with eyes open, know how much more destructive it can be than the sword and the cannon… Evil cannot perish without the destruction of much that lives by the evil, and it is no less destruction even if we personally are saved the pain of a sensational act of violence. If it is suggested that I preached the idea of freedom for my country and this is against the law, I plead guilty to the charge. If that is the law here I say I have done that and I request you to convict me, but do not impute to me crimes I am not guilty of, deeds against which my whole nature revolts and which, having regard to my mental capacity, is something which could never have been perpetrated by me. If it is an offence to preach the ideal of freedom, I admit having done it. I have never disputed it. It is for this I have given up all the prospects of my life. It is for this that I came to Calcutta, to live for it and labour for it. It has been the one thought of my waking hours, the dream of my sleep. If that is my offence, there is no necessity of bringing witness to bring into the box to dispose different things in connection with that. Here am I and I admit it… If that is my fault you can chain me, imprison me, but you will never get out of me a denial of that charge. Aurobindo, from a letter of Sri Aurobindo that C.R. Das was reading out while defending him in the Alipore Bomb Trial. C.R. Das Speech in defence of Aurobindo Ghosh in the Maincktala Bomb Case. The judgement was issued in 1909. Source: Collected Works of Deshbandhu. Hinduism, which is the most skeptical and the most believing of all, the most skeptical because it has questioned and experimented the most, the most believing because it has the deepest experience and the most varied and positive spiritual knowledge, that wider Hinduism which is not a dogma or combination of dogmas but a law of life, which is not a social framework but the spirit of a past and [future]] social evolution, which rejects nothing but insists on testing and experiencing everything and when tested and experienced, turning in to the soul's uses, in this Hinduism, we find the basis of future world religion. This Sanatana Dharma has many scriptures: The Veda, the Vedanta, the Gita, the Upanishads, the Darshanas, the Puranas, the Tantras, nor could it reject the Bible or the Koran, but its real, the most authoritative scripture is in the heart in which the Eternal has his dwelling. The Hindu religion appears … as a cathedral temple, half in ruins, noble in the mass, often fantastic in detail but always fantastic with a significance — crumbling or badly outworn in places, but a cathedral temple in which service is still done to the Unseen and its real presence can be felt by those who enter with the right spirit. Spirituality is the master key of the Indian mind. It is this dominant inclination of India which gives character to all the expressions of her culture. In fact, they have grown out of her inborn spiritual tendency of which her religion is a natural out flowering. The Indian mind has always realized that the Supreme is the Infinite and perceived that to the soul in Nature the Infinite must always present itself in an infinite variety of aspects. The aggressive and quite illogical idea of a single religion for all mankind, a religion universal by the very force of its narrowness, one set of dogmas, one cult, one system of ceremonies, one ecclesiastical ordinance, one array of prohibitions and injunctions which all minds must accept on peril of persecution by men and spiritual rejection or eternal punishment by God, that grotesque creation of human unreason which has been the parent of so much intolerance, cruelty and obscurantism and aggressive fanaticism, has never been able to take firm hold of the Indian mentality. To listen to some devout people, one would imagine that God never laughs; Heine was nearer the mark when he found in Him the divine Aristophanes. God's laughter is sometimes very coarse and unfit for polite ears; He is not satisfied with being Molière, He must needs also be Aristophanes and Rabelais. There are four great events in history, the siege of Troy, the life and crucifixion of Christ, the exile of Krishna in Brindaban and the colloquy on the field of Kurukshetra. The siege of Troy created Hellas, the exile in Brindaban created devotional religion, (for before there was only meditation and worship), Christ from his cross humanized Europe, the colloquy at Kurukshetra will yet liberate humanity. Even soul-force, when it is effective, destroys. Only those who have used it with eyes open, know how much more destructive it can be than the sword and the cannon; and only those who do not limit their view to the act and its immediate results, can see how tremendous are its after-effects, how much is eventually destroyed and with that much all the life that depended upon it and fed upon it. Evil cannot perish without the destruction of much that lives by the evil, and it is no less destruction even if we personally are saved the pain of a sensational act of violence. Originally published as nine articles in the Indu Prakash a Bombay daily newspaper. I say, of the Congress, then, this — that its aims are mistaken, that the spirit in which it proceeds towards their accomplishment is not a spirit of sincerity and whole-heartedness, and that the methods it has chosen are not the right methods, and the leaders in whom it trusts, not the right sort of men to be leaders; — in brief, that we are at present the blind led, if not by the blind, at any rate by the one-eyed. To play with baubles is our ambition, not to deal with grave questions in a spirit of serious energy. But while we are playing with baubles, with our Legislative Councils, our Simultaneous Examinations, our ingenious schemes for separating the judicial from the executive functions, — while we, I say, are finessing about trifles, the waters of the great deep are being stirred and that surging chaos of the primitive man over which our civilised societies are superimposed on a thin crust of convention, is being strangely and ominously agitated. Theorist, and trifler though I may be called, I again assert as our first and holiest duty, the elevation and enlightenment of the proletariate: I again call on those nobler spirits among us who are working erroneously, it may be, but with incipient or growing sincerity and nobleness of mind, to divert their strenuous effort from the promotion of narrow class interests, from silly squabbles about offices and salaried positions, from a philanthropy laudable in itself and worthy of rational pursuit, but meagre in the range of its benevolence and ineffectual towards promoting the nearest interests of the nation, into that vaster channel through which alone the healing waters may be conducted to the lips of their ailing and tortured country. We speak often of the Hindu religion, of the Sanatan Dharma, but few of us really know what that religion is. Other religions are preponderatingly religions of faith and profession, but the Sanatan Dharma is life itself; it is a thing that has not so much to be believed as lived. About many things in Hinduism I had once been inclined to believe that they were imaginations, that there was much of dream in it, much that was delusion and Maya. But now day after day I realised in the mind, I realised in the heart, I realised in the body the truths of the Hindu religion. They became living experiences to me, and things were opened to me which no material science could explain. The year of detention was meant only for a year of seclusion and of training. How could anyone hold me in jail longer than was necessary for God's purpose? He had given me a word to speak and a work to do, and until that word was spoken I knew that no human power could hush me, until that work was done no human power could stop God's instrument, however weak that instrument might be or however small. Now that I have come out, even in these few minutes, a word has been suggested to me which I had no wish to speak. The thing I had in my mind He has thrown from it and what I speak is under an impulse and a compulsion. I waited day and night for the voice of God within me, to know what He had to say to me, to learn what I had to do. 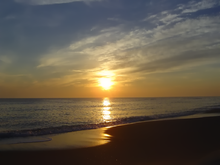 In this seclusion the earliest realisation, the first lesson came to me. I remembered then that a month or more before my arrest, a call had come to me to put aside all activity, to go in seclusion and to look into myself, so that I might enter into closer communion with Him. I was weak and could not accept the call. My work was very dear to me and in the pride of my heart I thought that unless I was there, it would suffer or even fail and cease; therefore I would not leave it. It seemed to me that He spoke to me again and said, "The bonds you had not the strength to break, I have broken for you, because it is not my will nor was it ever my intention that that should continue. I have had another thing for you to do and it is for that I have brought you here, to teach you what you could not learn for yourself and to train you for my work." Then He placed the Gita in my hands. His strength entered into me and I was able to do the sadhana of the Gita. I was not only to understand intellectually but to realise what Sri Krishna demanded of Arjuna and what He demands of those who aspire to do His work, to be free from repulsion and desire, to do work for Him without the demand for fruit, to renounce self-will and become a passive and faithful instrument in His hands, to have an equal heart for high and low, friend and opponent, success and failure, yet not to do His work negligently. I realised what the Hindu religion meant. We speak often of the Hindu religion, of the Sanatan Dharma, but few of us really know what that religion is. Other religions are preponderatingly religions of faith and profession, but the Sanatan Dharma is life itself; it is a thing that has not so much to be believed as lived. This is the Dharma that for the salvation of humanity was cherished in the seclusion of this peninsula from of old. It is to give this religion that India is rising. She does not rise as other countries do, for self or when she is strong, to trample on the weak. She is rising to shed the eternal light entrusted to her over the world. India has always existed for humanity and not for herself and it is for humanity and not for herself that she must be great. I looked at the jail that secluded me from men and it was no longer by its high walls that I was imprisoned; no, it was Vasudeva who surrounded me. I walked under the branches of the tree in front of my cell but it was not the tree, I knew it was Vasudeva, it was Sri Krishna whom I saw standing there and holding over me his shade. I looked at the bars of my cell, the very grating that did duty for a door and again I saw Vasudeva. It was Narayana who was guarding and standing sentry over me. Or I lay on the coarse blankets that were given me for a couch and felt the arms of Sri Krishna around me, the arms of my Friend and Lover. This was the first use of the deeper vision He gave me. I looked at the prisoners in the jail, the thieves, the murderers, the swindlers, and as I looked at them I saw Vasudeva, it was Narayana whom I found in these darkened souls and misused bodies. I looked and it was not the Magistrate whom I saw, it was Vasudeva, it was Narayana who was sitting there on the bench. I looked at the Prosecuting Counsel and it was not the Counsel for the prosecution that I saw; it was Sri Krishna who sat there, it was my Lover and Friend who sat there and smiled. "Now do you fear?" He said, "I am in all men and I overrule their actions and their words. My protection is still with you and you shall not fear. This case which is brought against you, leave it in my hand. It is not for you. It was not for the trial that I brought you here but for something else. The case itself is only a means for my work and nothing more." It is Shakti that has gone forth and entered into the people. Since long ago I have been preparing this uprising and now the time has come and it is I who will lead it to its fulfilment. I knew all along what He meant for me, for I heard it again and again, always I listened to the voice within; "I am guiding, therefore fear not. Turn to your own work for which I have brought you to jail and when you come out, remember never to fear, never to hesitate. Remember that it is I who am doing this, not you nor any other. Therefore whatever clouds may come, whatever dangers and sufferings, whatever difficulties, whatever impossibilities, there is nothing impossible, nothing difficult. I am in the nation and its uprising and I am Vasudeva, I am Narayana, and what I will, shall be, not what others will. What I choose to bring about, no human power can stay." You have spoken much today of my self-sacrifice and devotion to my country. I have heard that kind of speech ever since I came out of jail, but I hear it with embarrassment, with something of pain. For I know my weakness, I am a prey to my own faults and backslidings. I was not blind to them before and when they all rose up against me in seclusion, I felt them utterly. I knew them that I the man was a man of weakness, a faulty and imperfect instrument, strong only when a higher strength entered into me. Then I found myself among these young men and in many of them I discovered a mighty courage, a power of self-effacement in comparison with which I was simply nothing. I saw one or two who were not only superior to me in force and character, - very many were that, — but in the promise of that intellectual ability on which I prided myself. I had many doubts before. I was brought up in England amongst foreign ideas and an atmosphere entirely foreign. About many things in Hinduism I had once been inclined to believe that they were imaginations, that there was much of dream in it, much that was delusion and Maya. But now day after day I realised in the mind, I realised in the heart, I realised in the body the truths of the Hindu religion. They became living experiences to me, and things were opened to me which no material science could explain. When I approached God at that time, I hardly had a living faith in Him. The agnostic was in me, the atheist was in me, the sceptic was in me and I was not absolutely sure that there was a God at all. I did not feel His presence. Yet something drew me to the truth of the Vedas, the truth of the Gita, the truth of the Hindu religion. I felt there must be a mighty truth somewhere in this Yoga, a mighty truth in this religion based on the Vedanta. That which we call the Hindu religion is really the eternal religion, because it is the universal religion which embraces all others. If a religion is not universal, it cannot be eternal. A narrow religion, a sectarian religion, an exclusive religion can live only for a limited time and a limited purpose. The second message came and it said, "Something has been shown to you in this year of seclusion, something about which you had your doubts and it is the truth of the Hindu religion. It is this religion that I am raising up before the world, it is this that I have perfected and developed through the Rishis, saints and Avatars, and now it is going forth to do my work among the nations. I am raising up this nation to send forth my word. This is the Sanatan Dharma, this is the eternal religion which you did not really know before, but which I have now revealed to you. The agnostic and the sceptic in you have been answered, for I have given you proofs within and without you, physical and subjective, which have satisfied you. When you go forth, speak to your nation always this word, that it is for the Sanatan Dharma that they arise, it is for the world and not for themselves that they arise. I am giving them freedom for the service of the world. When therefore it is said that India shall rise, it is the Sanatan Dharma that shall be great. When it is said that India shall expand and extend herself, it is the Sanatan Dharma that shall expand and extend itself over the world. It is for the Dharma and by the Dharma that India exists. To magnify the religion means to magnify the country. I have shown you that I am everywhere and in all men and in all things, that I am in this movement and I am not only working in those who are striving for the country but I am working also in those who oppose them and stand in their path. I am working in everybody and whatever men may think or do, they can do nothing but help in my purpose. They also are doing my work, they are not my enemies but my instruments. In all your actions you are moving forward without knowing which way you move. You mean to do one thing and you do another. You aim at a result and your efforts subserve one that is different or contrary. It is Shakti that has gone forth and entered into the people. Since long ago I have been preparing this uprising and now the time has come and it is I who will lead it to its fulfilment." This Hindu nation was born with the Sanatan Dharma, with it it moves and with it it grows. When the Sanatan Dharma declines, then the nation declines, and if the Sanatan Dharma were capable of perishing, with the Sanatan Dharma it would perish. That which we call the Hindu religion is really the eternal religion, because it is the universal religion which embraces all others. If a religion is not universal, it cannot be eternal. A narrow religion, a sectarian religion, an exclusive religion can live only for a limited time and a limited purpose. 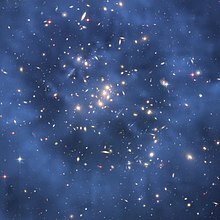 This is the one religion that can triumph over materialism by including and anticipating the discoveries of science and the speculations of philosophy. It is the one religion which impresses on mankind the closeness of God to us and embraces in its compass all the possible means by which man can approach God. It is the one religion which insists every moment on the truth which all religions acknowledge that He is in all men and all things and that in Him we move and have our being. It is the one religion which enables us not only to understand and believe this truth but to realise it with every part of our being. It is the one religion which shows the world what the world is, that it is the Lila of Vasudeva. It is the one religion which shows us how we can best play our part in that Lila, its subtlest laws and its noblest rules. It is the one religion which does not separate life in any smallest detail from religion, which knows what immortality is and has utterly removed from us the reality of death. This is the word that has been put into my mouth to speak to you today. What I intended to speak has been put away from me, and beyond what is given to me I have nothing to say. It is only the word that is put into me that I can speak to you. That word is now finished. I spoke once before with this force in me and I said then that this movement is not a political movement and that nationalism is not politics but a religion, a creed, a faith. I say it again today, but I put it in another way. I say no longer that nationalism is a creed, a religion, a faith; I say that it is the Sanatan Dharma which for us is nationalism. This Hindu nation was born with the Sanatan Dharma, with it it moves and with it it grows. When the Sanatan Dharma declines, then the nation declines, and if the Sanatan Dharma were capable of perishing, with the Sanatan Dharma it would perish. There are two allied powers in man; knowledge and wisdom. Knowledge is so much of the truth seen in a distorted medium as the mind arrives at by groping, wisdom what the eye of divine vision sees in the spirit. Late, I learned that when reason died, then Wisdom was born; before that liberation, I had only knowledge. When I had the dividing reason, I shrank from many things; after I had lost it in sight, I hunted through the world for the ugly and the repellent, but I could no longer find them. Forgiveness is praised by the Christian and the Vaishnava, but for me, I ask, "What have I to forgive and whom?" O Thou that lovest, strike! If Thou strike me not now, I shall know that Thou lov'st me not. There is no mortality. It is only the Immortal who can die; the mortal could neither be born nor perish. There is nothing finite. It is only the Infinite who can make for Himself limits; the finite can have no beginning nor end, for the very act of conceiving its beginning and end declares its infinity. Sin and virtue are a game of resistance we play with God in His efforts to draw us towards perfection. The sense of virtue helps us to cherish our sins in secret. A thought is an arrow shot at the truth; it can hit a point, but not cover the whole target. But the archer is too well satisfied with his success to ask anything farther. Genius discovers a system; average talent stereotypes it till it is shattered by fresh genius. It is dangerous for an army to be led by veterans; for on the other side God may place Napoleon. Open thy eyes and see what the world really is and what God; have done with vain and pleasant imaginations. Hard is it to be in the world, free, yet living the life of ordinary men; but because it is hard, therefore it must be attempted and accomplished. Hatred is the sign of a secret attraction that is eager to flee from itself and furious to deny its own existence. That too is God's play in His creature. Live according to Nature, runs the maxim of the West; but according to what nature, the nature of the body or the nature which exceeds the body ? This first we ought to determine. When thou callest another a fool, as thou must, sometimes, yet do not forget that thou thyself hast been the supreme fool in humanity. In God's providence there is no evil, but only good or its preparation. Hate not the oppressor, for, if he is strong, thy hate increases his force of resistance; if he is weak, thy hate was needless. Very usually, altruism is only the sublimest form of selfishness. Suffer yourself to be tempted within so that you may exhaust in the struggle your downward propensities. If thou think defeat is the end of thee, then go not forth to fight, even though thou be the stronger. For Fate is not purchased by any man nor is Power bound over to her possessors. But defeat is not the end, it is only a gate or a beginning. I have failed, thou sayest. 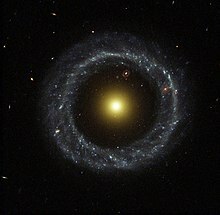 Say rather that God is circling about towards His object. If thy aim be great and thy means small, still act; for by action alone these can increase to thee. He who would win high spiritual degrees, must pass endless tests and examinations. But most are anxious only to bribe the examiner. O soldier and hero of God, where for thee is sorrow or shame or suffering? For thy life is a glory, thy deeds a consecration, victory thy apotheosis, defeat thy triumph. O Death, our masked friend and maker of opportunities, when thou wouldst open the gate, hesitate not to tell us beforehand; for we are not of those who are shaken by its iron jarring. When thou findest thyself scorning another, look then at thy own heart and laugh at thy folly. There are two ways of avoiding the snare of woman; one is to shun all women and the other to love all beings. There is nothing small in God's eyes; let there be nothing small in thine. What is vice but an enslaving habit and virtue but a human opinion? See God and do His will; walk in whatever path He shall trace for thy goings. It is easy to distinguish the evil worked by sin and vice, but the trained eye sees also the evil done by self-righteous or self-regarding virtue. What is the use of only being? I say to thee, Become, for therefore wast thou established as a man in this world of matter. Mankind has used two powerful weapons to destroy its own powers and enjoyment, wrong indulgence and wrong abstinence. Others boast of their love for God. My boast is that I did not love God; it was He who loved me and sought me out and forced me to belong to Him. To commit adultery with God is the perfect experience for which the world was created. Even when one has climbed up into those levels of bliss where pain vanishes, it still survives disguised as intolerable ecstasy. When I was mounting upon ever higher crests of His joy, I asked myself whether there was no limit to the increase of bliss and almost I grew afraid of God's embraces. The whole world is my seraglio and every living being and inanimate existence in it is the instrument of my rapture. To thy lover, O Lord, the railing of the world is wild honey and the pelting of stones by the mob is summer rain on the body. For is it not Thou that railest and peltest, and is it not Thou in the stones that strikest and hurtest me? They say, O my God, that I am mad because I see no fault in Thee; but if I am indeed mad with Thy love, I do not wish to recover my sanity. I was much plagued by Satan, until I found that it was God who was tempting me; then the anguish of him passed out of my soul for ever. I hated the devil and was sick with his temptations and tortures; and I could not tell why the voice in his departing words was so sweet that when he returned often and offered himself to me, it was with sorrow I refused him. Then I discovered it was Krishna at His tricks and my hate was changed into laughter. God took a child to fondle him in His bosom of delight; but the mother wept and would not be consoled because her child no longer existed. My lover took away my robe of sin and I let it fall, rejoicing; then he plucked at my robe of virtue, but I was ashamed and alarmed and prevented him. It was not till he wrested it from me by force that I saw how my soul had been hidden from me. Canst thou see God as the bodiless Infinite and yet love Him as a man loves his mistress? Then has the highest truth of the Infinite been revealed to thee. Canst thou also clothe the Infinite in one secret embraceable body and see Him seated in each and all of these bodies that are visible and sensible? Then has its widest and profoundest truth come also into thy possession. The strangest of the soul's experiences is this, that it finds, when it ceases to care for the image and threat of troubles, then the troubles themselves are nowhere to be found in one's neighbourhood. It is then that we hear from behind those unreal clouds God laughing at us. God's servant is something; God's slave is greater. To attempt to penetrate through the indeterminate confusion of present tendencies and first efforts in order to foresee the exact forms the new creation will take, would be an effort of very doubtful utility. On the whole what we see is a giant Shakti who awakening into a new world, a new and alien environment, finds herself shackled in all her limbs by a multitude of gross or minute bonds, bonds self-woven by her past, bonds recently imposed from outside, and is struggling to be free from them, to arise and proclaim herself, to cast abroad her spirit and set her seal on the world. We hear on every side a sound of the slow fraying of bonds, here and there a sharp tearing and snapping; but freedom of movement has not yet been attained. The eyes are not yet clear, the bud of the soul has only partly opened. The Titaness has not yet arisen. Spirituality is indeed the master key of the Indian mind; the sense of the infinite is native to it. India saw from the beginning, — and, even in her ages of reason and her age of increasing ignorance, she never lost hold of the insight, — that life cannot be rightly seen in the sole light, cannot be perfectly lived in the sole power of its externalities. She was alive to the greatness of material laws and forces; she had a keen eye for the importance of the physical sciences; she knew how to organize the arts of ordinary life. But she saw that the physical does not get its full sense until it stands in right relation to the supra-physical; she saw that the complexity of the universe could not be explained in the present terms of man or seen by his superficial sight, that there were other powers behind, other powers within man himself of which he is normally unaware, that he is conscious only of a small part of himself, that the invisible always surrounds the visible, the supra-sensible the sensible, even as infinity always surrounds the finite. She saw too that man has the power of exceeding himself, of becoming himself more entirely and profoundly than he is, — truths which have only recently begun to be seen in Europe and seem even now too great for its common intelligence. She saw the myriad gods, and beyond God his own ineffable eternity; she saw that there were ranges of life beyond our present life, ranges of mind beyond our present mind and above these she saw the splendors of the spirit. Then with that calm audacity of her intuition which knew no fear or littleness and shrank from no act whether of spiritual or intellectual, ethical or vital courage, she declared that there was none of these things which man could not attain if he trained his will and knowledge; he could conquer these ranges of mind, become the spirit, become a god, become one with God, become the ineffable Brahman. The Spirit is a higher infinite of verities; life is a lower infinite of possibilities which seek to grow and find their own truth and fulfilment in the light of these verities. Our intellect, our will, our ethical and our aesthetic being are the reflectors and the mediators. The method of the West is to exaggerate life and to call down as much — or as little — as may be of the higher powers to stimulate and embellish life. But the method of India is on the contrary to discover the spirit within and the higher hidden intensities of the superior powers and to dominate life in one way or another so as to make it responsive to and expressive of the spirit and in that way increase the power of life. Its tendency with the intellect, will, ethical, aesthetic and emotional being is to sound indeed their normal mental possibilities, but also to upraise them towards the greater light and power of their own highest intuitions. Nothing in the many processes of Nature, whether she deals with men or with things, comes by chance or accident or is really at the mercy of external causes. To attempt to penetrate through the indeterminate confusion of present tendencies and first efforts in order to foresee the exact forms the new creation will take, would be an effort of very doubtful utility. One might as well try to forecast a harmony from the sounds made by the tuning of the instrument. In one direction or another we may just detect certain decisive indications, but even these are only first indications and we may be quite sure that much lies behind them that will go far beyond anything that they yet suggest. This is true whether in religion and spirituality or thought and science, poetry and art or society and politics. Everywhere there is, at most, only a beginning of beginnings. India is the meeting-place of the religions and among these Hinduism alone is by itself a vast and complex thing, not so much a religion as a great diversified and yet subtly unified mass of spiritual thought, realisation and aspiration. What will finally come out of all this stir and ferment, lies yet in the future. Nor does spirituality mean the moulding of the whole type of the national being to suit the limited dogmas, forms, tenets of a particular religion, as was often enough attempted by the old societies, an idea which still persists in many minds by the power of old mental habit and association; clearly such an attempt would be impossible, even if it were desirable, in a country full of the most diverse religious opinions and harbouring too three such distinct general forms as Hinduism, Islam and Christianity, to say nothing of the numerous special forms to which each of these has given birth. Spirit without mind, spirit without body is not the type of man, therefore a human spirituality must not belittle the mind, life or body or hold them of small account: it will rather hold them of high account, of immense importance, precisely because they are the conditions and instruments of the life of the spirit in man. True spirituality rejects no new light, no added means or materials of our human self-development. Spirituality is not necessarily exclusive; it can be and in its fullness must be all-inclusive. But still there is a great difference between the spiritual and the purely material and mental view of existence. The spiritual view holds that the mind, life, body are man's means and not his aims and even that they are not his last and highest means; it sees them as his outer instrumental self and not his whole being. It sees the infinite behind all things finite and it adjudges the value of the finite by higher infinite values of which they are the imperfect translation and towards which, to a truer expression of them, they are always trying to arrive. It sees a greater reality than the apparent not only behind man and the world, but within man and the world, and this soul, self, divine thing in man it holds to be that in him which is of the highest importance, that which everything else in him must try in whatever way to bring out and express, and this soul, self, divine presence in the world it holds to be that which man has ever to try to see and recognise through all appearances, to unite his thought and life with it and in it to find his unity with his fellows. This alters necessarily our whole normal view of things; even in preserving all the aims of human life, it will give them a different sense and direction. India can best develop herself and serve humanity by being herself and following the law of her own nature. This does not mean, as some narrowly and blindly suppose, the rejection of everything new that comes to us in the stream of Time or happens to have been first developed or powerfully expressed by the West. Such an attitude would be intellectually absurd, physically impossible, and above all unspiritual; true spirituality rejects no new light, no added means or materials of our human self-development. It means simply to keep our centre, our essential way of being, our inborn nature and assimilate to it all we receive, and evolve out of it all we do and create. Perhaps there was too much of religion in one sense; the word is English, smacks too much of things external such as creeds, rites, an external piety; there is no one Indian equivalent. But if we give rather to religion the sense of the following of the spiritual impulse in its fullness and define spirituality as the attempt to know and live in the highest self, the divine, the all-embracing unity and to raise life in all its parts to the divinest possible values, then it is evident that there was not too much of religion, but rather too little of it — and in what there was, a too one-sided and therefore an insufficiently ample tendency. The right remedy is, not to belittle still farther the agelong ideal of India, but to return to its old amplitude and give it a still wider scope, to make in very truth all the life of the nation a religion in this high spiritual sense. This is the direction in which the philosophy, poetry, art of the West is, still more or less obscurely, but with an increasing light, beginning to turn, and even some faint glints of the truth are beginning now to fall across political and sociological ideals. Differences of credal belief are to the Indian mind nothing more than various ways of seeing the one Self and Godhead in all. The main metaphysical truths of Indian religious philosophy in their broad idea-aspects or in an intensely poetic and dynamic representation have been stamped on the general mind of the people. The ideas of Maya, Lila, divine Immanence are as familiar to the man in the street and the worshipper in the temple as to the philosopher in his seclusion, the monk in his monastery and the saint in his hermitage. The highest spirituality indeed moves in a free and wide air far above that lower stage of seeking which is governed by religious form and dogma; it does not easily bear their limitations and, even when it admits, it transcends them; it lives in an experience which to the formal religious mind is unintelligible. But man does not arrive immediately at that highest inner elevation and, if it were demanded from him at once, he would never arrive there. At first he needs lower supports and stages of ascent; he asks for some scaffolding of dogma, worship, image, sign, form, symbol, some indulgence and permission of mixed half-natural motive on which he can stand while he builds up in him the temple of the spirit. Only when the temple is completed, can the supports be removed, the scaffolding disappear. The religious culture which now goes by the name of Hinduism not only fulfilled this purpose, but, unlike certain credal religions, it knew its purpose. It gave itself no name, because it set itself no sectarian limits; it claimed no universal adhesion, asserted no sole infallible dogma, set up no single narrow path or gate of salvation; it was less a creed or cult than a continuously enlarging tradition of the Godward endeavour of the human spirit. An immense many-sided many-staged provision for a spiritual self-building and self-finding, it had some right to speak of itself by the only name it knew, the eternal religion, Sanâtana Dharma. It is only if we have a just and right appreciation of this sense and spirit of Indian religion that we can come to an understanding of the true sense and spirit of Indian culture. How can there be a religion which has no rigid dogmas demanding belief on pain of eternal damnation, no theological postulates, even no fixed theology, no credo distinguishing it from antagonistic or rival religions? How can there be a religion which has no papal head, no governing ecclesiastic body, no church, chapel or congregational system, no binding religious form of any kind obligatory on all its adherents, no one administration and discipline? For the Hindu priests are mere ceremonial officiants without any ecclesiastical authority or disciplinary powers and the Pundits are mere interpreters of the Shastra, not the lawgivers of the religion or its rulers. How again can Hinduism be called a religion when it admits all beliefs, allowing even a kind of high-reaching atheism and agnosticism and permits all possible spiritual experiences, all kinds of religious adventures? The only thing fixed, rigid, positive, clear is the social law, and even that varies in different castes, regions, communities. The caste rules and not the Church; but even the caste cannot punish a man for his beliefs, ban heterodoxy or prevent his following a new revolutionary doctrine or a new spiritual leader. To the Indian mind the least important part of religion is its dogma; the religious spirit matters, not the theological credo. On the contrary to the Western mind a fixed intellectual belief is the most important part of a cult; it is its core of meaning, it is the thing that distinguishes it from others. For it is its formulated beliefs that make it either a true or a false religion, according as it agrees or does not agree with the credo of its critic. This notion, however foolish and shallow, is a necessary consequence of the Western idea which falsely supposes that intellectual truth is the highest verity and, even, that there is no other. The Indian religious thinker knows that all the highest eternal verities are truths of the spirit. The supreme truths are neither the rigid conclusions of logical reasoning nor the affirmations of credal statement, but fruits of the soul's inner experience. Intellectual truth is only one of the doors to the outer precincts of the temple. And since intellectual truth turned towards the Infinite must be in its very nature many-sided and not narrowly one, the most varying intellectual beliefs can be equally true because they mirror different facets of the Infinite. However separated by intellectual distance, they still form so many side-entrances which admit the mind to some faint ray from a supreme Light. There are no true and false religions, but rather all religions are true in their own way and degree. Each is one of the thousand paths to the One Eternal. The fundamental idea of all Indian religion is one common to the highest human thinking everywhere. 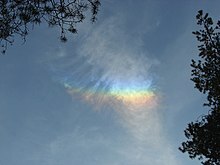 The supreme truth of all that is is a Being or an existence beyond the mental and physical appearances we contact here. Beyond mind, life and body there is a Spirit and Self containing all that is finite and infinite, surpassing all that is relative, a supreme Absolute, originating and supporting all that is transient, a one Eternal. A one transcendent, universal, original and sempiternal Divinity or divine Essence, Consciousness, Force and Bliss is the fount and continent and inhabitant of things. Soul, nature, life are only a manifestation or partial phenomenon of this self-aware Eternity and this conscious Eternal. The Infinite alone justifies the existence of the finite and the finite by itself has no entirely separate value or independent existence. Life, if it is not an illusion, is a divine Play, a manifestation of the glory of the Infinite. Or it is a means by which the soul growing in Nature through countless forms and many lives can approach, touch, feel and unite itself through love and knowledge and faith and adoration and a Godward will in works with this transcendent Being and this infinite Existence. This Self or this self-existent Being is the one supreme reality, and all things else are either only appearances or only true by dependence upon it. It follows that self-realisation and God-realisation are the great business of the living and thinking human being. All life and thought are in the end a means of progress towards self-realisation and God-realisation. Indian religion never considered intellectual or theological conceptions about the supreme Truth to be the one thing of central importance. To pursue that Truth under whatever conception or whatever form, to attain to it by inner experience, to live in it in consciousness, this it held to be the sole thing needful. One school or sect might consider the real self of man to be indivisibly one with the universal Self or the supreme Spirit. Another might regard man as one with the Divine in essence but different from him in Nature. A third might hold God, Nature and the individual soul in man to be three eternally different powers of being. But for all the truth of Self held with equal force; for even to the Indian dualist God is the supreme self and reality in whom and by whom Nature and man live, move and have their being and, if you eliminate God from his view of things, Nature and man would lose for him all their meaning and importance. The Spirit, universal Nature (whether called Maya, Prakriti or Shakti) and the soul in living beings, Jiva, are the three truths which are universally admitted by all the many religious sects and conflicting religious philosophies of India. Universal also is the admission that the discovery of the inner spiritual self in man, the divine soul in him, and some kind of living and uniting contact or absolute unity of the soul in man with God or supreme Self or eternal Brahman is the condition of spiritual perfection. It is open to us to conceive and have experience of the Divine as an impersonal Absolute and Infinite or to approach and know and feel Him as a transcendent and universal sempiternal Person: but whatever be our way of reaching him, the one important truth of spiritual experience is that he is in the heart and centre of all existence and all existence is in him and to find him is the great self-finding. Differences of credal belief are to the Indian mind nothing more than various ways of seeing the one Self and Godhead in all. Self-realisation is the one thing needful; to open to the inner Spirit, to live in the Infinite, to seek after and discover the Eternal, to be in union with God, that is the common idea and aim of religion, that is the sense of spiritual salvation, that is the living Truth that fulfils and releases. This dynamic following after the highest spiritual truth and the highest spiritual aim are the uniting bond of Indian religion and, behind all its thousand forms, its one common essence. Nothing can be more untrue than to pretend that the general religious mind of India has not at all grasped the higher spiritual or metaphysical truths of Indian religion. It is a sheer falsehood or a wilful misunderstanding to say that it has lived always in the externals only of rite and creed and shibboleth. On the contrary, the main metaphysical truths of Indian religious philosophy in their broad idea-aspects or in an intensely poetic and dynamic representation have been stamped on the general mind of the people. The ideas of Maya, Lila, divine Immanence are as familiar to the man in the street and the worshipper in the temple as to the philosopher in his seclusion, the monk in his monastery and the saint in his hermitage. The spiritual reality which they reflect, the profound experience to which they point, has permeated the religion, the literature, the art, even the popular religious songs of a whole people. Out of the paths of the morning star they came Into the little room of mortal life. The way of yoga followed here has a different purpose from others, — for its aim is not only to rise out of the ordinary ignorant world-consciousness into the divine consciousness, but to bring the supramental power of that divine consciousness down into the ignorance of mind, life and body, to transform them, to manifest the Divine here and create a divine life in Matter. We need a nucleus of men in whom the Shakti is developed to its uttermost extent, in whom it fills every corner of the personality and overflows to fertilise the earth. These, having the fire of Bhawani in their hearts and brains, will go forth and carry the flame to every nook and cranny of our land. I write, not for the orthodox, nor for those who have discovered a new orthodoxy, Samaj or Panth, nor for the unbeliever. I write for those who acknowledge reason but do not identify reason with Western Materialism; who are sceptics but not unbelievers; who, admitting the claims of modern thought, still believe in India, her mission, her gospel, her immortal life and her eternal rebirth. It is a fundamental and deplorable error by which we in this country have confused education with the acquisition of knowledge.... Amount of knowledge is in itself not of first importance, but to make the best use of what we know. The easy assumption of our educationists that we have only to supply the mind with a smattering of facts in each department of knowledge and the mind can be trusted to develop itself and take its own suitable road is contrary to science, contrary to human experience.... Much as we have lost as a nation, we have always preserved our intellectual alertness, quickness and originality; but even this last gift is threatened by our University system, and if it goes, it will be the beginning of irretrievable degradation and final extinction. Is it knowledge that is wanting? We Indians, born and bred in a country where Jnana has been stored and accumulated since the race began, bear about in us the inherited gains of many thousands of years.... But it is a dead knowledge, a burden under which we are bowed, a poison which is corroding us, rather than as it should be a staff to support our feet and a weapon in our hands; for this is the nature of all great things that when they are not used or are ill used, they turn upon the bearer and destroy him. The deeper we look, the more we shall be convinced that the one thing wanting, which we must strive to acquire before all others, is strength — strength physical, strength mental, strength moral, but above all strength spiritual which is the one inexhaustible and imperishable source of all the others. If we have strength everything else will be added to us easily and naturally. If Britons love England with all her faults, why should we fail to love India whose faults were whittled down to an irreducible minimum till foreign conquests threw the whole society out of gear? But instead of being dominated by the natural ambition of carrying the banner of such a civilisation all over the world, we are unable to maintain its integrity in its own native home. This is betraying a trust. This is unworthiness of the worst type. We have not been able to add anything to this precious bequest; on the contrary we have been keeping ourselves and generations yet unborn from a full enjoyment of their lawful heritage..... This was Swami Vivekananda's plan of campaign. India can once more be made conscious of her greatness by an overmastering sense of the greatness of her spirituality. This sense of greatness is the main feeder of all patriotism. This only can put an end to all self-depreciation and generate a burning desire to recover the lost ground. Let there be no fainting of heart and no depression, and also let there be no unforeseeing fury, no blindly-striking madness. We are at the beginning of a time of terrible trial. The passage is not to be easy, the crown is not to be cheaply earned. India is going down into the valley of the shadow of death, into a great horror of darkness and suffering. Let us realise that what we are now suffering, is a small part of what we shall have to suffer, and work in that knowledge, with resolution, without hysteria.... The first need at the present moment is courage, a courage which knows not how to flinch or shrink. Politics is the work of the Kshatriya and it is the virtues of the Kshatriya we must develop if we are to be morally fit for freedom. It is the nature of human institutions to degenerate, to lose their vitality, and decay, and the first sign of decay is the loss of flexibility and oblivion of the essential spirit in which they were conceived. The spirit is permanent, the body changes; and a body which refuses to change must die. The spirit expresses itself in many ways while itself remaining essentially the same but the body must change to suit its changing environments if it wishes to live. There is no doubt that the institution of caste degenerated. It ceased to be determined by spiritual qualifications which, once essential, have now come to be subordinate and even immaterial and is determined by the purely material tests of occupation and birth. By this change it has set itself against the fundamental tendency of Hinduism which is to insist on the spiritual and subordinate the material and thus lost most of its meaning. The spirit of caste arrogance, exclusiveness and superiority came to dominate it instead of the spirit of duty, and the change weakened the nation and helped to reduce us to our present conditions. Belief is not a merely intellectual process, belief is not a mere persuasion of the mind, belief is something that is in our heart, and what you believe, you must do, because belief is from God. It is to the heart that God speaks, it is in the heart that God resides.... Here is a work that you have undertaken, a work so gigantic, so stupendous, the means for which are so poor, the resistance to which will be so strong, so organised ... and what means have you with which to carry out this tremendous work of yours? If you look at it intellectually, it is hopeless.... This intellectual process, if it is used honestly, if it is followed to the very end, leads you to despair. It leads you to death. Do not be afraid of obstacles in your path, it does not matter how great the forces are that stand in your way.... Do not think that anything is impossible when miracles are being worked on every side. If you are true to yourself there is nothing to be afraid of. There is nothing unattainable by truth, love and faith. This is your whole gospel which will work out miracles. You say that you ask only for the Truth and yet you speak like a narrow and ignorant fanatic who refuses to believe in anything but the religion in which he was born. All fanaticism is false, because it is a contradiction of the very nature of God and of Truth. Truth cannot be shut up in a single book, Bible or Veda or Koran, or in a single religion. There are times of great change, times when old landmarks are being upset, when submerged forces are rising, and just as we deal promptly or linger over the solution of these problems, our progress will be rapid or slow, sound or broken... The problem is put to us one by one, to each nation one by one... He has shown us the possibility of strength within us, and then He has shown us where the danger, the weakness lies. He is pointing out to us how is it that we may become strong. On us it lies … to answer the question which God has put to us, and according as we answer on it depends how this movement will progress, what route it will take, and whether it will lead to a swift and sudden salvation, or whether, after so many centuries of tribulation and sufferings there is still a long period of tribulation and suffering before us. God has put the question to us and with us entirely it lies to answer. There are particular movements in particular epochs in which the Divine Force manifests itself with supreme power shattering all human calculations, making a mock of the prudence of the careful statesman and the scheming politician, falsifying the prognostications of the scientific analyser and advancing with a vehemence and velocity which is obviously the manifestation of a higher than human force. The intellectual man afterwards tries to trace the reasons for the movement and lay bare the forces that made it possible, but at the time he is utterly at fault, his wisdom is falsified at every step and his science serves him not. These are the times when we say God is in the movement, He is its leader and it must fulfil itself however impossible it may be for man to see the means by which it will succeed. You cannot shut up God in the limitations of your own narrow brain or dictate to the Divine Power and Consciousness how or where or through whom it shall manifest; you cannot put up your puny barriers against the divine Omnipotence. The end of a stage of evolution is usually marked by a powerful recrudescence of all that has to go out of the evolution. A thousand newspapers vulgarise knowledge, debase aesthetical appreciation, democratise success and make impossible all that was once unusual and noble. The man of letters has become a panderer to the intellectual appetites of a mob or stands aloof in the narrowness of a coterie. There is plenty of brilliance everywhere, but one searches in vain for a firm foundation, the power or the solidity of knowledge. The select seek paradox in order to distinguish themselves from the herd; a perpetual reiteration of some startling novelty can alone please the crowd.... Of all literary forms the novel only has still some genius and even that is perishing of the modern curse of overproduction. Our first necessity, if India is to survive and do her appointed work in the world, is that the youth of India should learn to think,—to think on all subjects, to think independently, fruitfully, going to the heart of things, not stopped by their surface, free of prejudgments, shearing sophism and prejudice asunder as with a sharp sword, smiting down obscurantism of all kinds as with the mace of Bhima. (...) When there is destruction, it is the form that perishes, not the spirit—for the world and its ways are forms of one Truth which appears in this material world in ever new bodies.... 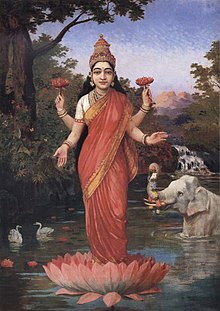 In India, the chosen land, [that Truth] is preserved; in the soul of India it sleeps expectant on that soul's awakening, the soul of India leonine, luminous, locked in the closed petals of the ancient lotus of love, strength and wisdom, not in her weak, soiled, transient and miserable externals. India alone can build the future of mankind. (...) Ancient or pre-Buddhistic Hinduism sought Him both in the world and outside it; it took its stand on the strength and beauty and joy of the Veda, unlike modern or post-Buddhistic Hinduism which is oppressed with Buddha's sense of universal sorrow and Shankara's sense of universal illusion,—Shankara who was the better able to destroy Buddhism because he was himself half a Buddhist. Ancient Hinduism aimed socially at our fulfilment in God in life, modern Hinduism at the escape from life to God. The more modern ideal is fruitful of a noble and ascetic spirituality, but has a chilling and hostile effect on social soundness and development; social life under its shadow stagnates for want of belief and delight, sraddha and ananda. If we are to make our society perfect and the nation is to live again, then we must revert to the earlier and fuller truth. I seek a light that shall be new, yet old, the oldest indeed of all lights.... I seek not science, not religion, not Theosophy, but Veda—the truth about Brahman, not only about His essentiality, but about His manifestation, not a lamp on the way to the forest, but a light and a guide to joy and action in the world, the truth which is beyond opinion, the knowledge which all thought strives after—yasmin vijñate sarvam vijñatam [which being known, all is known]. I believe that Veda to be the foundation of the Sanatan Dharma; I believe it to be the concealed divinity within Hinduism,—but a veil has to be drawn aside, a curtain has to be lifted. I believe it to be knowable and discoverable. I believe the future of India and the world to depend on its discovery and on its application, not to the renunciation of life, but to life in the world and among men. Wherever thou seest a great end, be sure of a great beginning. Where a monstrous and painful destruction appals thy mind, console it with the certainty of a large and great creation. God is there not only in the still small voice, but in the fire and in the whirlwind..... The greater the destruction, the freer the chances of creation; but the destruction is often long, slow and oppressive, the creation tardy in its coming or interrupted in its triumph. The night returns again and again and the day lingers or seems even to have been a false dawning. Despair not therefore but watch and work. Those who hope violently, despair swiftly: neither hope nor fear, but be sure of God's purpose and thy will to accomplish. Each language is the sign and power of the soul of the people which naturally speaks it. Each develops therefore its own peculiar spirit, thought-temperament, way of dealing with life and knowledge and experience.... A nation, race or people which loses its language, cannot live its whole life or its real life. And this advantage to the national life is at the same time an advantage to the general life of the human race. There are moments when the Spirit moves among men and the breath of the Lord is abroad upon the waters of our being; there are others when it retires and men are left to act in the strength or the weakness of their own egoism. The first are periods when even a little effort produces great results and changes destiny; the second are spaces of time when much labour goes to the making of a little result. It is true that the latter may prepare the former, may be the little smoke of sacrifice going up to heaven which calls down the rain of God's bounty.... Unhappy is the man or the nation which, when the divine moment arrives, is found sleeping or unprepared to use it, because the lamp has not been kept trimmed for the welcome and the ears are sealed to the call. But thrice woe to them who are strong and ready, yet waste the force or misuse the moment; for them is irreparable loss or a great destruction.... In the hour of God cleanse thy soul of all self-deceit and hypocrisy and vain self-flattering that thou mayst look straight into thy spirit and hear that which summons it. All insincerity of nature, once thy defence against the eye of the Master and the light of the ideal, becomes now a gap in thy armour and invites the blow. Even if thou conquer for the moment, it is the worse for thee, for the blow shall come afterwards and cast thee down in the midst of thy triumph. But being pure cast aside all fear; for the hour is often terrible, a fire and a whirlwind and a tempest, a treading of the winepress of the wrath of God; but he who can stand up in it on the truth of his purpose is he who shall stand; even though he fall, he shall rise again; even though he seem to pass on the wings of the wind, he shall return. Nor let worldly prudence whisper too closely in thy ear; for it is the hour of the unexpected, the incalculable, the immeasurable. Mete not the power of the Breath by thy petty instruments, but trust and go forward.... But most keep thy soul clear, even if for a while, of the clamour of the ego. Then shall a fire march before thee in the night and the storm be thy helper and thy flag shall wave on the highest height of the greatness that was to be conquered. In the stupendous rush of change which is coming on the human world as a result of the present tornado of upheaval, ancient India's culture, attacked by European modernism, overpowered in the material field, betrayed by the indifference of her children, may perish for ever along with the soul of the nation that holds it in its keeping.... Each nation is a Shakti or power of the evolving spirit in humanity and lives by the principle which it embodies. India is the Bharata Shakti, the living energy of a great spiritual conception, and fidelity to it is the very principle of her existence.... To follow a law or principle involuntarily or ignorantly or contrary to the truth of one's consciousness is a falsehood and a self-destruction. To allow oneself to be killed, like the lamb attacked by the wolf, brings no growth, farthers no development, assures no spiritual merit. Concert or unity may come in good time, but it must be an underlying unity with a free differentiation, not a swallowing up of one by another or an incongruous and inharmonious mixture. Nor can it come before the world is ready for these greater things. To lay down one's arms in a state of war is to invite destruction and it can serve no compensating spiritual purpose.... India is indeed awaking and defending herself, but not sufficiently and not with the whole-heartedness, the clear sight and the firm resolution which can alone save her from the peril. Today it is close; let her choose,... for the choice is imperatively before her, to live or to perish. What the Divine wants is for man to embody Him here, in the individual and in the collectivity... to realise God in life. The old system of yoga could not harmonise or unify Spirit and life; it dismissed the world as Maya or a transient play of God. The result has been a diminution of life-power and the decline of India. The Gita says, utsideyur ime loka na kuryam karma cedaham ["These peoples would crumble to pieces if I did not do actions," 3.24]. Truly 'these peoples' of India have gone to ruin. What kind of spiritual perfection is it if a few Sannyasins, Bairagis and Saddhus attain realisation and liberation, if a few Bhaktas dance in a frenzy of love, god-intoxication and Ananda, and an entire race, devoid of life, devoid of intelligence, sinks to the depths of extreme tamas?... But now the time has come to take hold of the substance instead of extending the shadow. We have to awaken the true soul of India and in its image fashion all works.... I believe that the main cause of India's weakness is not subjection, nor poverty, nor a lack of spirituality or Dharma, but a diminution of thought-power, the spread of ignorance in the motherland of Knowledge. Everywhere I see an inability or unwillingness to think... incapacity of thought or 'thought-phobia'.... The mediaeval period was a night, a time of victory for the man of ignorance; the modern world is a time of victory for the man of knowledge. It is the one who can fathom and learn the truth of the world by thinking more, searching more, labouring more, who will gain more Shakti. Look at Europe, and you will see two things: a wide limitless sea of thought and the play of a huge and rapid, yet disciplined force. The whole Shakti of Europe lies there. It is by virtue of this Shakti that she has been able to swallow the world, like our Tapaswins of old, whose might held even the gods of the universe in awe, suspense and subjection. People say that Europe is rushing into the jaws of destruction. I do not think so. All these revolutions, all these upsettings are the initial stages of a new creation..... We, however, are not worshippers of Shakti; we are worshippers of the easy way.... Our civilisation has become ossified, our Dharma a bigotry of externals, our spirituality a faint glimmer of light or a momentary wave of intoxication. So long as this state of things lasts, any permanent resurgence of India is impossible.... We have abandoned the sadhana of Shakti and so the Shakti has abandoned us.... You say what is needed is emotional excitement, to fill the country with enthusiasm. We did all that in the political field during the Swadeshi period; but all we did now lies in the dust.... Therefore I no longer wish to make emotional excitement, feeling and mental enthusiasm the base. I want to make a vast and heroic equality the foundation of my yoga; in all the activities of the being, of the adhar [vessel] based on that equality, I want a complete, firm and unshakable Shakti; over that ocean of Shakti I want the vast radiation of the sun of Knowledge and in that luminous vastness an established ecstasy of infinite love and bliss and oneness. I do not want tens of thousands of disciples; it will be enough if I can get as instruments of God a hundred complete men free from petty egoism. I have no faith in the customary trade of guru. I do not want to be a guru. What I want is that a few, awakened at my touch or at that of another, will manifest from within their sleeping divinity and realise the divine life. It is such men who will raise this country. You say that you ask only for the Truth and yet you speak like a narrow and ignorant fanatic who refuses to believe in anything but the religion in which he was born. All fanaticism is false, because it is a contradiction of the very nature of God and of Truth. Truth cannot be shut up in a single book, Bible or Veda or Koran, or in a single religion. The Divine Being is eternal and universal and infinite and cannot be the sole property of the Mussulmans or of the Semitic religions only, — those that happened to be in a line from the Bible and to have Jewish or Arabian prophets for their founders. Hindus and Confucians and Taoists and all others have as much right to enter into relation with God and find the Truth in their own way. All religions have some truth in them, but none has the whole truth; all are created in time and finally decline and perish. Mahomed himself never pretended that the Koran was the last message of God and there would be no other. God and Truth outlast these religions and manifest themselves anew in whatever way or form the Divine Wisdom chooses. You cannot shut up God in the limitations of your own narrow brain or dictate to the Divine Power and Consciousness how or where or through whom it shall manifest; you cannot put up your puny barriers against the divine Omnipotence. These again are simple truths which are now being recognised all over the world; only the childish in mind or those who vegetate in some formula of the past deny them. You have insisted on my writing and asked for the Truth and I have answered. But if you want to be a Mussulman, no one prevents you. If the Truth I bring is too great for you to understand or to bear, you are free to go and live in a half-truth or in your own ignorance. I am not here to convert anyone; I do not preach to the world to come to me and I call no one. I am here to establish the divine life and the divine consciousness in those who of themselves feel the call to come to me and cleave to it and in no others. The Mahomedan or Islamic culture hardly gave anything to the world which may be said to be of fundamental importance and typically its own; Islamic culture was mainly borrowed from others. Their mathematics and astronomy and other subjects were derived from India and Greece. It is true they gave some of these things a new turn, but they have not created much. Their philosophy and their religion are very simple and what they call Sufism is largely the result of gnostics who lived in Persia and it is the logical outcome of that school of thought largely touched by Vedanta.... I have, however, mentioned [in The Foundations of Indian Culture] that Islamic culture contributed the Indo-Saracenic architecture to Indian culture. I do not think it has done anything more in India of cultural value. It gave some new forms to art and poetry. Its political institutions were always semi-barbaric. Life has no 'isms' in it, Supermind also has no 'isms'. It is the mind that introduces all 'isms' and creates confusion. That is the difference between a man who lives and a thinker who can't: a leader who thinks too much and is busy with ideas, trying all the time to fit the realities of life to his ideas, hardly succeeds, while the leader who is destined to succeed does not bother his head about ideas. He sees the forces at work and knows by intuition those that make for success. He also knows the right combination of forces and the right moment when he should act.... At one time it was thought that the mind could grasp the whole Truth and solve all the problems that face humanity. The mind had its full play and we find that it is not able to solve the problems. Now, we find that it is possible to go beyond mind and there is the Supermind which is the organization of the Infinite Consciousness. There you find the truth of all that is in mind and life.... For instance, you find that Democracy, Socialism and Communism have each some truth behind it, but it is not the whole Truth. What you have to do is to find out the forces that are at work and understand what it is of which all these mental ideas and 'isms' are a mere indication. You have to know the mistakes which people commit in dealing with the truth of these forces and the truth that is behind the mistakes also. I am, at present, speaking against democracy; that does not mean that there is no truth behind it. I know the truth [behind democracy], but I speak against democracy because that mentality is at present against the Truth that is trying to come down. The traditions of the past are very great in their own place, in the past, but I do not see why we should merely repeat them and not go farther. In the spiritual development of the consciousness upon earth the great past ought to be followed by a greater future. [The Mother and myself] do not found ourselves on faith alone, but on a great ground of knowledge which we have been developing and testing all our lives. I think I can say that I have been testing day and night for years upon years more scrupulously than any scientist his theory or his method on the physical plane. That is why I am not alarmed by the aspect of the world around me or disconcerted by the often successful fury of the adverse Forces who increase in their rage as the Light comes nearer and nearer to the field of earth and Matter. I do not care a button about having my name in any blessed place. I was never ardent about fame even in my political days; I preferred to remain behind the curtain, push people without their knowing it and get things done. It was the confounded British Government that spoiled my game by prosecuting me and forcing me to be publicly known and a 'leader'. Then, again, I don't believe in advertisement except for books etc., and in propaganda except for politics and patent medicines. But for serious work it is a poison. It means either a stunt or a boom' and stunts and booms exhaust the thing they carry on their crest and leave it lifeless and broken high and dry on the shores of nowhere... or it means a movement. A movement in the case of a work like mine means the founding of a school or a sect or some other damned nonsense. It means that hundreds or thousands of useless people join in and corrupt the work or reduce it to a pompous farce from which the Truth that was coming down recedes into secrecy and silence. It is what has happened to the 'religions' and is the reason of their failure. If I tolerate a little writing about myself, it is only to have a sufficient counter-weight in that amorphous chaos, the public mind, to balance the hostility that is always aroused by the presence of a new dynamic Truth in this world of ignorance. But the utility ends there and too much advertisement would defeat that object. I am perfectly 'rational', I assure you, in my methods and I do not proceed merely on any personal dislike of fame. If and so far as publicity serves the Truth, I am quite ready to tolerate it; but I do not find publicity for its own sake desirable. I find it difficult to take these psycho-analysts at all seriously when they try to scrutinise spiritual experience by the flicker of their torch-lights,'yet perhaps one ought to, for half-knowledge is a powerful thing and can be a great obstacle to the coming in front of the true Truth. This new psychology looks to me very much like children learning some summary and not very adequate alphabet, exulting in putting their a-b-c-d of the subconscient and the mysterious underground super-ego together and imagining that their first book of obscure beginnings (c-a-t cat, t-r-e-e tree) is the very heart of the real knowledge. They look from down up and explain the higher lights by the lower obscurities; but the foundation of these things is above and not below, upari budhna esam [Rig-Veda, 1.24.7]. The superconscient, not the subconscient, is the true foundation of things. The significance of the lotus is not to be found by analysing the secrets of the mud from which it grows here; its secret is to be found in the heavenly archetype of the lotus that blooms for ever in the Light above. The self-chosen field of these psychologists is besides poor, dark and limited; you must know the whole before you can know the part and the highest before you can truly understand the lowest. That is the promise of the greater psychology awaiting its hour before which these poor gropings will disappear and come to nothing.... Wanton waste, careless spoiling of physical things in an incredibly short time, loose disorder, misuse of service and materials due either to vital grasping or to tamasic inertia are baneful to prosperity and tend to drive away or discourage the Wealth-Power. These things have long been rampant in the society and, if that continues, an increase in our means might well mean a proportionate increase in the wastage and disorder and neutralise the material advantage. This must be remedied if there is to be any sound progress.... Asceticism for its own sake is not the ideal of this yoga, but self-control in the vital and right order in the material are a very important part of it... and even an ascetic discipline is better for our purpose than a loose absence of true control. Mastery of the material does not mean having plenty and profusely throwing it out or spoiling it as fast as it comes or faster. Mastery implies in it the right and careful utilisation of things and also a self-control in their use.... There is a consciousness in [things], a life which is not the life and consciousness of man and animal which we know, but still secret and real. That is why we must have a respect for physical things and use them rightly, not misuse and waste, ill-treat or handle with a careless roughness. This feeling of all being consciousness or alive comes when our own physical consciousness'and not the mind only'awakes out of its obscurity and becomes aware of the One in all things, the Divine everywhere. If going beyond the experiences of past seers and sages is so shocking, each new seer or sage in turn has done that shocking thing'Buddha, Shankara, Chaitanya, etc. all did that wicked act.... Truly, this shocked reverence for the past is a wonderful and fearful thing? After all, the Divine is infinite and the unrolling of the Truth may be an infinite process or at least, if not quite so much, yet with some room for new discovery and new statement, even perhaps new achievement, not a thing in a nutshell cracked and its contents exhausted once for all by the first seer or sage, while the others must religiously crack the same nutshell all over again, each tremblingly fearful not to give the lie to the 'past' seers and sages. No doubt, hatred and cursing are not the proper attitude. It is true also that to look upon all things and all people with a calm and clear vision, to be uninvolved and impartial in one's judgments is a quite proper yogic attitude. A condition of perfect samata [equanimity] can be established in which one sees all as equal, friends and enemies included, and is not disturbed by what men do or by what happens. The question is whether this is all that is demanded from us. If so, then the general attitude will be of a neutral indifference to everything. But the Gita, which strongly insists on a perfect and absolute samata, goes on to say, 'Fight, destroy the adversary, conquer.' If there is no kind of general action wanted, no loyalty to Truth as against Falsehood except for one's personal sadhana, no will for the Truth to conquer, then the samata of indifference will suffice. But here there is a work to be done, a Truth to be established against which immense forces are arrayed, invisible forces which can use visible things and persons and actions for their instruments. If one is among the disciples, the seekers of this Truth, one has to take sides for the Truth, to stand against the forces that attack it and seek to stifle it. Arjuna wanted not to stand for either side, to refuse any action of hostility even against assailants; Sri Krishna, who insisted so much on samata, strongly rebuked his attitude and insisted equally on his fighting the adversary. 'Have samata,' he said, 'and seeing clearly the Truth, fight.' Therefore to take sides with the Truth and to refuse to concede anything to the Falsehood that attacks, to be unflinchingly loyal and against the hostiles and the attackers, is not inconsistent with equality.... It is a spiritual battle inward and outward; by neutrality and compromise or even passivity one may allow the enemy force to pass and crush down the Truth and its children. If you look at it from this point, you will see that if the inner spiritual equality is right, the active loyalty and firm taking of sides is as right, and the two cannot be incompatible. In Kashmir, the Hindus had all the monopoly. Now if the Muslim demands are acceded to, the Hindus will be wiped out. Mother India is not a piece of earth; she is a Power, a Godhead, for all nations have such a Devi supporting their separate existence and keeping it in being. Such Beings are as real and more permanently real than the men they influence but they belong to a higher plane, are part of the cosmic consciousness and being and act here on earth by shaping the human consciousness on which they exercise their influence. It is natural for man who sees only his own consciousness individual, national or racial at work and does not see what works upon it and shapes it, to think that all is created by him and there is nothing cosmic and greater behind it. India is free but she has not achieved unity, only a fissured and broken freedom.... The old communal division into Hindu and Muslim seems to have hardened into the figure of a permanent political division of the country. It is to be hoped that the Congress and the nation will not accept the settled fact as for ever settled or as anything more than a temporary expedient. For if it lasts, India may be seriously weakened, even crippled: civil strife may remain always possible, possible even a new invasion and foreign conquest. The partition of the country must go,'it is to be hoped by a slackening of tension, by a progressive understanding of the need of peace and concord, by the constant necessity of common and concerted action, even of an instrument of union for that purpose. In this way unity may come about under whatever form'the exact form may have a pragmatic but not a fundamental importance. But by whatever means, the division must and will go. For without it the destiny of India might be seriously impaired and even frustrated. But that must not be. I am afraid I can hold out but cold comfort'for the present at least'to those of your correspondents who are lamenting the present state of things. Things are bad, are growing worse and may at any time grow worst or worse than worst if that is possible'and anything however paradoxical seems possible in the present perturbed world. The best thing for them is to realise that all this was necessary because certain possibilities had to emerge and be got rid of, if a new and better world was at all to come into being; it would not have done to postpone them for a later time.... Also they can remember the adage that night is darkest before dawn and that the coming of dawn is inevitable. But they must remember too that the new world whose coming we envisage is not to be made of the same texture as the old and different only in pattern, and that it must come by other means'from within and not from without; so the best way is not to be too much preoccupied with the lamentable things that are happening outside, but themselves to grow within so that they may be ready for the new world, whatever form it may take. The indwelling deity who presides over the destiny of the race has raised in man's mind and heart the idea, the hope of a new order which will replace the old unsatisfactory order, and substitute for it conditions of the world's life which will in the end have a reasonable chance of establishing permanent peace and well-being.... It is for the men of our day and, at the most, of tomorrow to give the answer. For, too long a postponement or too continued a failure will open the way to a series of increasing catastrophes which might create a too prolonged and disastrous confusion and chaos and render a solution too difficult or impossible; it might even end in something like an irremediable crash not only of the present world-civilisation but of all civilisation.... The terror of destruction and even of large-scale extermination created by these ominous discoveries may bring about a will in the governments and peoples to ban and prevent the military use of these inventions, but, so long as the nature of mankind has not changed, this prevention must remain uncertain and precarious and an unscrupulous ambition may even get by it a chance of secrecy and surprise and the utilisation of a decisive moment which might conceivably give it victory and it might risk the tremendous chance. There is certainly nothing in Arabinda Ghose's past record which would justify exceptional tenderness to him. On the contrary, though he escaped conviction on the actual charge of conspiracy in the Alipore case, yet it is beyond doubt that his influence has been pernicious in the extreme. He is not a mere blind and unreasoning tool, but an active generator of revolutionary sentiment. He is imbued with a semi-religious fanaticism which is a powerful factor in attracting adherents to his cause: and I attribute the spread of seditious doctrines to him personally in a greater degree than to any other single individual in Bengal, or possibly in India. He has retired from political life, why does he interfere? Mahatma Gandhi to Duraiswamy Iyer, Sri Aurobindo's messenger, in 1942, commenting on Sri Aurobindo's acceptance of Stafford Cripps's proposal for dominion status after the war. (Some sources attribute the comment to Nehru, see Elst, Koenraad (2001). Decolonizing the Hindu mind: Ideological development of Hindu revivalism. New Delhi: Rupa. p. 120). He shot like a meteor across the political sky, and soon retired into a self-chosen seclusion in search of new visions and victories. 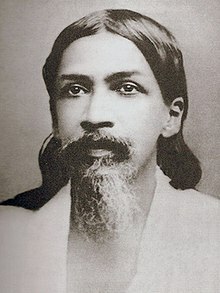 But the trail he blazed in the realm of India’s spirituality and culture yet holds the promise of a still more dazzling dawn.Sri Aurobindo confirmed and completed the ideological work undertaken by his predecessors - Maharshi Dayananda, Bankim Chandra and Swami Vivekananda. The National Vision now became a vision which had fully awakened to Sanãtana Dharma in all its dimensions. It was the ancient Vedic Vision at its highest and best. Sri Aurobindo’s insights into India’s inheritance - spiritual, philosophical, cultural, artistic, social, and political - went very far in restoring our people’s legitimate pride in their great past. He was very soon hailed as the Prophet of Indian Nationalism. I felt the utterance of the ancient Hindu Rishis spoke from him of that equanimity which gives the human Soul its freedom of entrance into the All. I said to him, "You have the word and we are waiting to accept it from you. India will speak through your voice to the world, Hearken to me … O Aurobindo, accept the salutations from Rabindranath." Of all modern Indian writers Aurobindo — successively poet, critic, scholar, thinker, nationalist, humanist — is the most significant and perhaps the most interesting … In fact, he is a new type of thinker, one who combines in his vision the alacrity of the West with the illumination of the East. To study his writings is to enlarge the boundaries of one's knowledge … He is blessed with a keen intuition. He knows that a man may be right and not wise. He treats each word of his as though it were a drop of elixir. In all this he is unique — at least in modern India. … a yogi who writes as though he were standing among the stars, with the constellations for his companions. This page was last edited on 6 October 2018, at 22:33.